The relentless pace of modern life can stifle creativity and undermine happiness and wellbeing – but it doesn’t have to be this way. 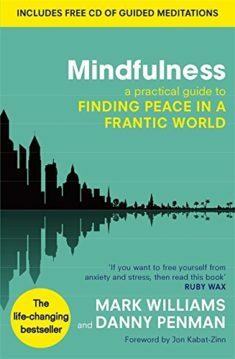 The simple mindfulness techniques at the heart of Mindfulness for Creativity dissolve anxiety and stress and have been proven to enhance creativity, problem solving and decision making – skills that are needed not only by ‘creatives’ but by anyone who wants to optimise their work, life and overall wellbeing. This easy-to-follow, four-week programme takes just 10-20 minutes a day and works by soothing and clarifying the mind, allowing innovative ideas to take form and flourish. 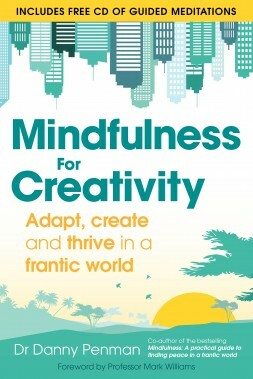 It reveals just how much of life is controlled by habitual ways of thinking and approaching the world – and shows you how to pursue a more creative and productive path. Life is chaotic, but if you follow the mindfulness meditations in this programme you will become more resilient and less anxious, and develop the courage necessary to make difficult decisions, create new ideas and to follow them wherever they should lead. 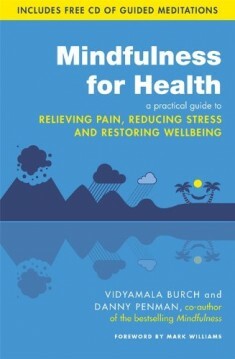 Mindfulness for Health is based on a unique meditation programme developed by Vidyamala Burch to help her cope with the severe pain of spinal injury. Taught at Breathworks – and its affiliates around the world – this programme has helped tens of thousands of people cope with pain, illness and stress. The eight-week programme at the heart of this book takes just 10-20 minutes per day. You’ll be surprised by how quickly your suffering melts away, leaving behind a deep- seated love of life. MINDFULNESS reveals a set of simple yet powerful practices that you can incorporate into daily life to help you break the cycle of anxiety, stress, unhappiness and exhaustion. It promotes genuine joie de vivre; the kind of happiness that gets into your bones and seeps into everything you do. The book is based on Mindfulness-Based Cognitive Therapy (MBCT). MBCT revolves around a straightforward form of mindfulness meditation which takes just a few minutes a day for the full benefits to be revealed. MBCT has been clinically proven to be at least as effective as drugs for depression and it is recommended by the UK’s National Institute for Health and Clinical Excellence – in other words, it works. But more importantly, it also works for the rest of us who aren’t depressed but who are struggling to keep up with the relentless demands of the modern world. In short, Mindfulness helps you meet the worst that life throws at you with renewed courage.